A little after 19:00 on 19 October 2015, a man named Nawaf, neatly dressed in a white ankle-length robe and smart suit jacket, arrived at our office in Taiz, Yemen, bearing a flimsy brown cardboard box. Around his waist he wore a large, finely crafted and highly stylised leather belt, which held in place the sheath of his traditional dagger. Nawaf had left the dagger itself outside on his car seat, because he knew the rules: Médecins Sans Frontières (MSF, aka Doctors Without Borders) facilities have a strict no-weapons policy. He handed me the box which contained 62 jagged pieces of metal, not one of which was clearly labelled, while I struggled to contain my excitement. 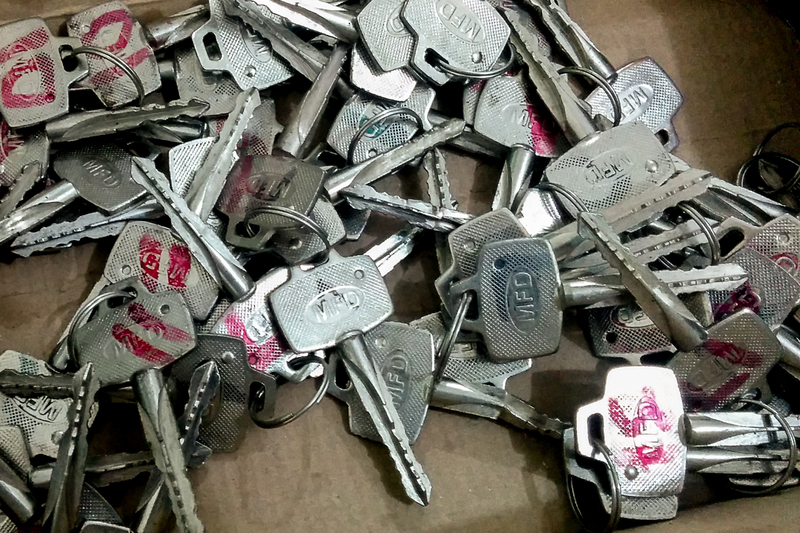 These were the long-awaited keys to the hotel/shopping-centre building we were to convert into a Mother and Child Hospital, where all services would be provided free of charge. The very next day, we commenced the logistical works required for establishing the hospital: erecting internal walls to create rooms, installing electrical and diesel generator system, setting up a huge medical warehouse and receiving more than 40 tonnes of medical supplies and equipment, installing fencing for access control, assembling hospital furniture, and much more. Less than three weeks later, on 7 November, we opened the front doors of the hospital to accept our first outpatients. Even though we hadn’t announced the opening, so many patients arrived on that first morning that we had to close at midday! The following week, we opened the nutrition programme. Two weeks after that, we opened the emergency department and had our first baby born, a beautiful baby girl. One of the most common complaints of people coming to the hospital was scabies. Our medical team determined that a large community of people in Taiz, displaced by the war and thus forced to live in cramped and often unhygienic conditions, was in the midst of a scabies outbreak. Rather than treat these people in our hospital, the team suggested it would be better to address the problem at its source, in the community. So the MSF Taiz team planned a special tented clinic, met with representatives of the community, organised supplies of benzyl benzoate, set up a large white MSF tent near where many of the displaced people were living, and began treating them on 1 December. The following day – Wednesday, 2 December – I arrived at the MSF Mother and Child Hospital to check the work of various contractors who were, respectively: installing workbenches and a filtered water system for the new laboratory to be opened the next day, welding an intermediate steel burner for waste incineration, installing doors for the staff’s rooftop sleeping quarters, and finishing the masonry for the hospital waste-zone pits. 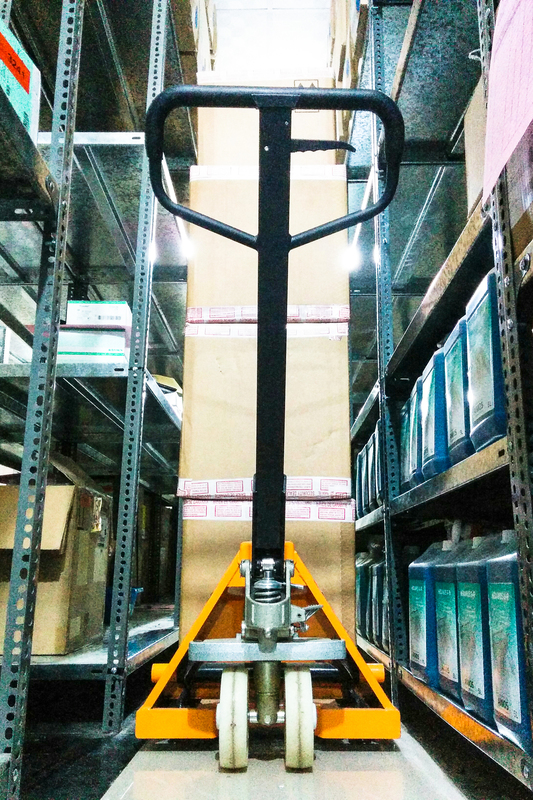 I had also planned to spend an hour with the medical storekeeper, with whom I’d been working closely, to complete a full physical stock count of our enormous 315m2 central medical warehouse. We arrived at the hospital around 14:00, and I was still standing outside behind the building, speaking with my colleague when, at 14:08, we heard a jet come in low overhead. It’s an all-too familiar sound, one usually followed by two other familiar sounds. I stretched my arm up toward the sky and pointed at the plane with my index finger, tracking its path as it moved northwest of our location. Within fractions of a second, we heard the second familiar sound: a bomb screaming downward from the sky, toward its target. With my index finger, I continued following the sound of the bomb, which I couldn’t see, until my arm was horizontal and my finger was pointing straight toward the horizon, at which moment we heard the last of the three familiar sounds: the airstrike hitting its target. There was a loud bang, followed by a pressure wave that shook us as it flexed the glass window panes of our five-storey hospital building. A column of brown smoke rose up from the spot I’d been pointing at, just a few hundred metres away from us. After chatting briefly with nearby staff about the airstrike and how close this one had been, I returned to my work, comfortable in my certain knowledge that the airstrike couldn’t have affected our nearby tented clinic. After all, the Saudi-led coalition, which was responsible for these airstrikes, knew the exact GPS coordinates of our tent, just as they know the coordinates of our Mother and Child Hospital. I had been talking for just a few minutes with an engineer about the next steps for our hospital waste zone, when I received a phone call from our Project Coordinator. He wanted us to return to the office promptly. Our tented clinic had been hit, he said, and several people had been injured, two of them critically. Several airstrikes in the morning, only 2km from our tented clinic, had shaken our staff, so MSF had called the coalition to remind them again of our tented clinic activity, just to be on the safe side. The tent sported a huge MSF flag spread flat on its roof, with the bright red MSF logo easily visible from the sky. The coalition was told multiple times about the tented clinic and its location and yet, because of this Saudi-led coalition airstrike, several people in the clinic were injured and one is now dead. This is the second MSF facility in Yemen to be hit by airstrikes from the Saudi-led coalition. The other, an MSF-supported hospital in Haydan, was turned into a pile of rubble in late October by a series of airstrikes. 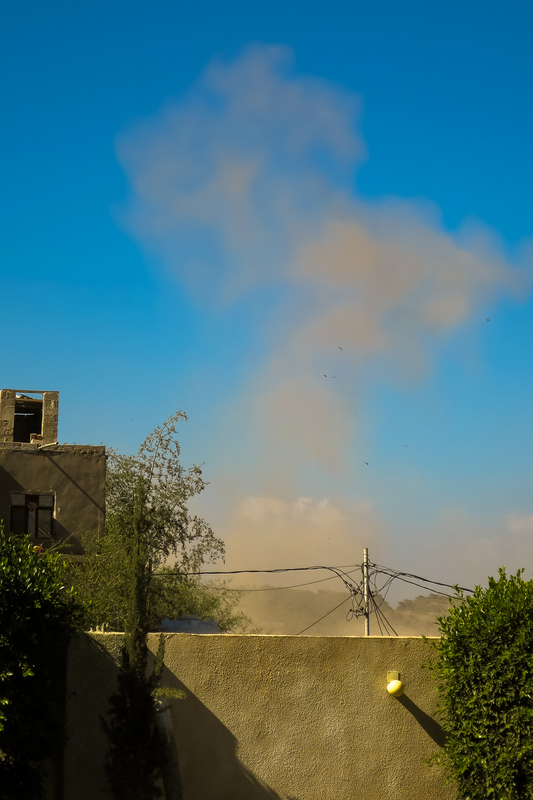 One after-effect of this airstrike was a temporary reduction of staff in Taiz. I, among others, was relocated to the capital, Sana’a until things calmed down. As I had nearly completed the term of my contract, there was too little time for me to return to Taiz before I was due to leave Yemen, so I returned home to Canada a few days early. It’s unfortunate, as I’d hoped to complete some of the remaining works at the hospital, into which I had put so much thought and energy. 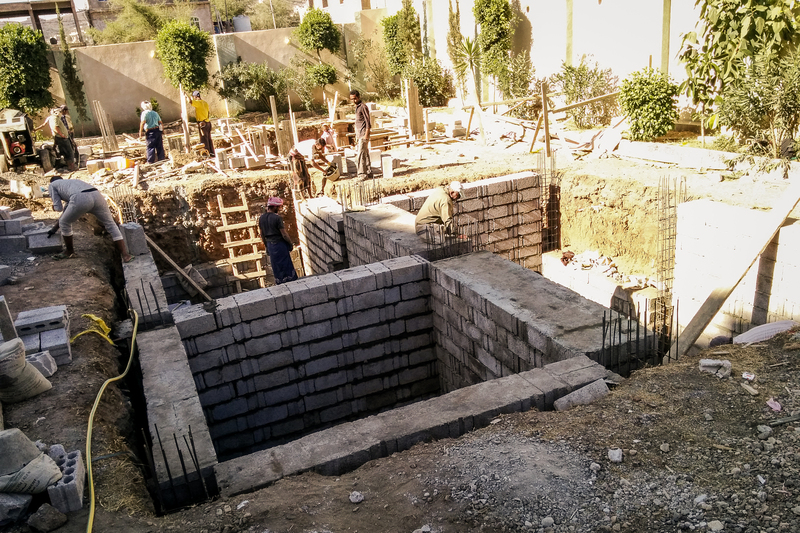 Still, in the few weeks since the keys were handed over to us, we worked full-tilt to get the MSF Taiz Mother and Child Hospital up-and-running, and I’m confident this hospital will continue to grow and serve the community for a long time to come. This entry was posted in Asia, Yemen and tagged Airstrike, Mother and Child Hospital, MSF, Taiz.